Calling this project a complicated one would be a vast understatement. Not only was Yoh’s client in need of a massive overhauling to how it operated recruitment and measurement both in its corporate offices and all of its facilities, but the company was going through a enterprise-altering acquisition. 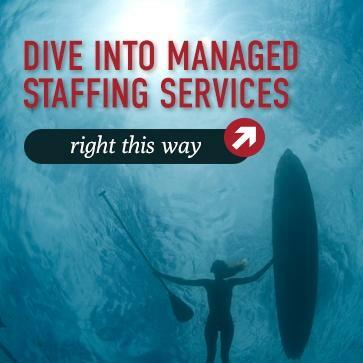 The need for clarity in staffing was more critical than ever. Without insight into how much employees were being paid or metrics to measure the success of each facility’s hiring efforts, Yoh had to overview, review and reboot. Pulling corporate and facility hiring under a singular umbrella, Yoh was able to ensure compliance and find tremendous cost savings at all facilities. While the project wasn’t without some hesitation from facility leaders, Yoh helped guide the client to a more organized, streamlined hiring process through a Managed Services Program. Not only did the installation of an MSP provide the client with never-before-seen insight into spending and resource allocation, but the project resulted in the reduction of waste in all aspects of the company’s hiring. Safety concerns and incident risks were reduced. Efficiency in hiring was boosted. And the company now knows where its precious resources are going. 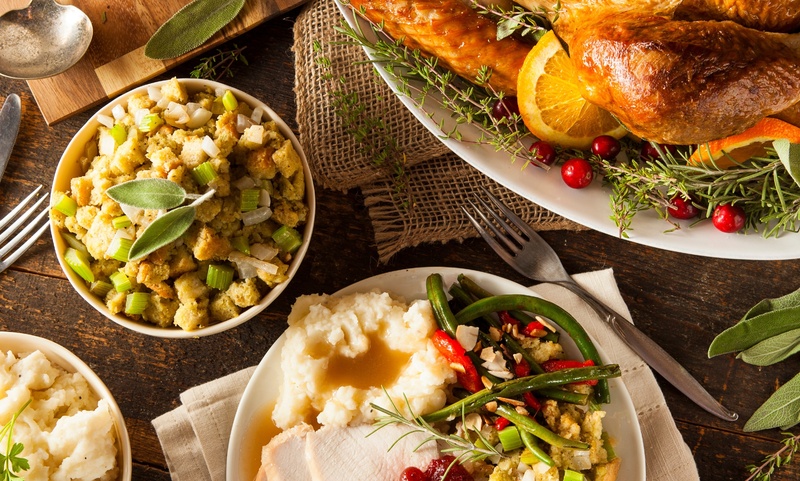 30,000 Food and beverage processing establishments (plants) in the U.S.
With manufacturing facilities stretching all across the U.S., producing some of the country’s favorite foods, it can be difficult to truly see everything that’s happening within a corporation’s hiring practices while also maintaining the company’s demanding production schedules. Blaming a facility manager in California for not operating the same way, with the same employee placement services, on the same timeline as a facility manager in New York would be quite unfair. Each facility operates differently according to factors that affect its unique talent market. But in the end, it’s up to corporate leaders to be aware of each facility’s varying practices to find a way to extract more value and reduce wasted time, money and energy. Up until the point Yoh won the project, this company had very little insight into all of the above. Tasked with cleaning up the company’s contract hiring for manufacturing plants as well as recruitment for the corporate headquarters, Yoh’s first step would be to wrangle together each of the company’s facility managers and ensure all were on the same page. No easy assignment, especially considering the company was in the process of being acquired by a multinational conglomerate holding company at the same time. When it comes to instituting a Managed Services Program, an obvious place to start is, well, at the beginning. Typically, understanding what a company’s current metrics are regarding hiring, talent spend, union contract management, etc. provide a strong foundation as to where the business currently is and where they need to improve. Yet with Yoh’s client, those metrics were non-existent. Corporate had no consistent insight as to how the many facilities they operated where being staffed. Perhaps shocking to an outsider, this practice is, unfortunately, not all that surprising for companies of this size. As corporations develop and the business becomes more focused on growth rather than simply surviving, agility and care can often get lost in the process. The good news was that all Yoh would need to do is implement its MSP, show where cost savings could be found, throw in some standardized processes, and be done with it, right? Well, not exactly. As Yoh began to audit the company’s current talent processes even further, it became clear that leaders had even less of an idea of what was going on with hiring at each facility than they had initially thought. Implementing a completely uniform process across each of the company’s manufacturing facilities – a customary method for many MSPs – would be impossible. While certain services and programs could be standardized, the fact that corporate communication to factory locations was basically limited to zero, Yoh found the project would require the development of an MSP custom tailored to each of the company’s unique marketplaces and talent communities. In order to assess each facility’s unique needs, Yoh visited all of the company’s sites to evaluate problems and see where change needed to be made. Plants in California where managed differently, using their own vendors, and under different union laws and regulations than those in New York or Florida. The changes would be significant. Each facility operated in its own silo. And going into a facility and telling managers an outsider would be changing the way they operate didn’t come without some pushback. The process of going through an acquisition can be a challenging and confusing time for many individuals in a company, no more so than for those employees working in a manufacturing facility. Plant managers are particularly concerned not only about their own job status, but of all those they manage. Add onto it that they are being told their talent and hiring practices would now come under new management and overview, seeing some hesitation was to be expected. In order to assuage any fears, Yoh visited each site, spoke to managers about how they liked to operate, and found out what worked and what didn’t work for them. No previous relationships with vendors would end unless managers wanted them to – each manager would be given the opportunity to continue working with those suppliers they trusted. Instead of broad, sweeping changes mandated by corporate, process changes were implemented at each facility as individual site roll-outs. Managers appreciated the extra care taken and Yoh found even more savings and efficiencies in the process. Now, Yoh program managers act as the go-to source for talent, eliminating the need to contact multiple vendors to request talent and reduce the amount of time they spend calling suppliers for next-day candidates to zero. With the management of day labor, union labor restrictions and regulations, talent orientation and safety, background checks and more now in Yoh’s hands, life was made easier for facility managers, and they were given the freedom to actually manage their facilities. No more concern over “on the bench” contractors or whether some union contractors could work only 89 days or only 29 days. Yoh now runs those daily reports to identify who is nearing their hours limit and reorganizes accordingly. Additionally, Yoh took upon the responsibility of corporate hiring from top to bottom, using its vast network of recruiters and difficult-to-find talent to grow the client’s corporate workforce with highly skilled individuals. Implementing this overhaul to talent was about more than making lives easier for mangers, however – it was also about boosting the bottom line. As a result of this streamlined talent and vendor management process, hourly bill rates were cut, turnover was reduced as a result of these efficiencies, and access to talent became better than ever. Strict controls and restrains around markup structures were put in place. Individual prescreening costs were reduced as, instead of paying for each contractor individually, the client is now paying a set fee for screenings across the enterprise. All the while, suppliers have remained intact under difficult terms to fill positions as needed. Now managing the full labor force of more than 600 supplier contractors, Yoh provides the client with a 360-degree view of its labor force at all times. Corporate leaders know exactly what their spend may be for everything from an entire facility to an individual contractor. What was once a decentralized, unorganized situation is now a fully stable, completely consistent operation with the introduction of an MSP. The client can now receive insight on a dime to know where savings are being found and additional efficiencies can be made. Simple process? No. Successful project? Yes.